Aside from the draw of its luxurious lodges and pristine wilderness feel, Welgevonden is also one of South Africa’s most accessible parks, just an easy two and a half hour jaunt from Johannesburg and a little less from Pretoria. If you’d rather fly, there are two airstrips in Welgevonen and it’s a mere 45 minute flight from Johannesburg. Or if you really want to arrive in style, there’s even a helipad too. The 250km road route from Johannesburg is very straightforward and you would do well to get lost. You follow the N1 North towards Polokwane and then shortly after the Kranskop toll plaza you take the off-ramp onto the R33 towards Modimolle. Then for the main gate head straight through from Vaalwater on the R517 towards Ellisras. After 24kms on the R517 from Vaalwater you will see the main gate on your left hand side. On arrival at Welgevonden, no private vehicles are allowed inside the reserve; this helps minimize human impact. The lodge you booked with will pick you up and transfer you to your accommodation from the relevant gate. Some lodges have a single, set pick-up time, though most of these can arrange for an alternate time at an additional fee. Other lodges have two pick up times throughout the day. 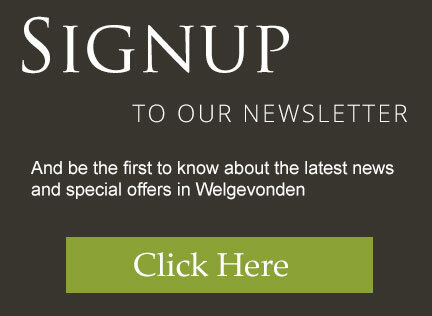 Be sure to confirm these details with your lodge before arrival at Welgevonden.